Cage The Elephant, Beck, And Spoon Team Up For Summer Tour - GENRE IS DEAD! Kentucky rockers Cage the Elephant are heading out on tour this summer and they’re bringing some special guests with them. 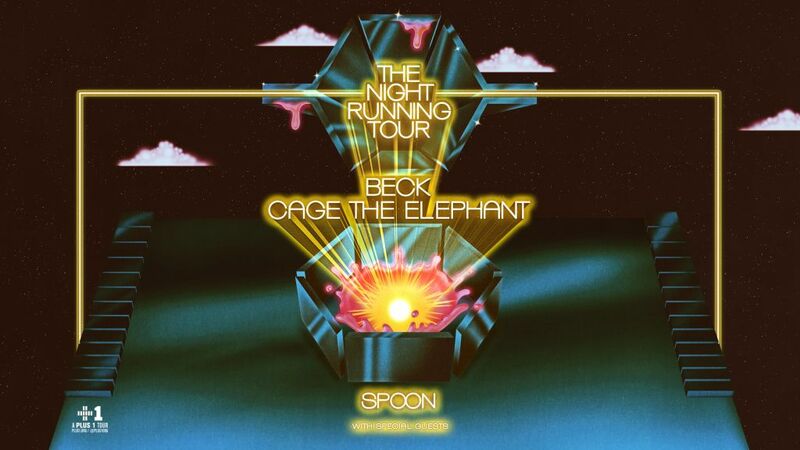 This morning (Feb. 11) the band announced the “Night Running Tour” featuring Beck as the co-headliner and Spoon. Starcrawler, Sunflower Bean, and Wild Belle will join as support on select dates. The trek kicks off July 11 in Ridgefield, Washington and will hit major cities like Las Vegas, Dallas, Chicago, and New York. The tour concludes August 30 in West Palm Beach, Flordia. Tickets go on sale Friday, February 15. Cage the Elephant will hold a pre-sale on their site starting Tuesday, February 12. Click here for more details. Recently, Cage the Elephant shared the lead single “Ready to Let Go” from their new album Social Cues, out April 19 via RCA. Pre-order your copy here. Meanwhile, Beck won Best Alternative Album at the Grammys for 2017’s Colors. Pingback:Listen: Cage the Elephant Share New Song 'House Of Glass' - GENRE IS DEAD!